Would you know the differences between the Canon 6D Mark II vs. Canon 7D Mark II? Keep reading if not. My no-nonsense comparison guide goes head-to-head with these two favorite semi-Pro DSLRs. The most noticeable difference at a glance is the sensor sizes. The Canon 6D MII sports a 26MP full frame sensor while the Canon 7D MII has a smaller 20MP APS-C sensor. There are more features and functions with the EOS 6D Mark II. That doesn’t mean it’s the best option—for YOU. It just implies it has some extra bells and whistles that may or may not appeal to you. It’s an engaging read and one that’s detailed yet easy to follow. I keep things simple by comparing the essential features, pros, and any cons under the following sections. 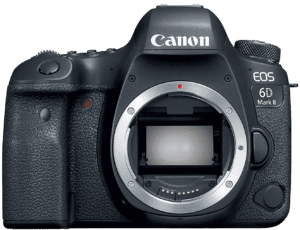 Why Consider the Canon 6D Mark II over the Canon 7D Mark II? 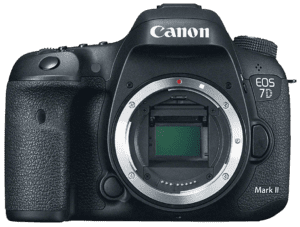 Why Consider the Canon 7D Mark II over the Canon 6D Mark II? I’m a big fan of the simple checklist when looking to change cameras. All you require is a list of things you need (must have) and those you want (would like). Don’t worry too much about the details yet. A rough list is enough to start. You can add to, delete from, or modify it as you read this review. This section starts with a warm-up and looks at the common features that unite these two Canons. Both cameras have a top-mounted external flash shoe which is typical of modern DSLRs. On-camera flash is less harsh than built-in units. It also allows for much more creative lighting control. Framing and control are easy and comfortable on the eyes with their optical viewfinders (OVF). Both the Canon 6D Mark II and 7D Mark II also have a convenient top LCD panel. Top LCDs can prove invaluable while working with portable tripods (less backbreaking). They are comfortable to view and make it easy to change settings when shooting below waist level. The rear LCDs of these cameras have high-resolution screens with 1.040k dots. That’s where the LCD similarity ends. We’ll look at which model has the best rear display later. Photographers who shoot video are sure to welcome both camera’s external microphone ports. Internal mics are okay if all you want is average sound. External mics, though, provide pro-quality audio recordings. Outdoor photographers demand some form of weather sealing and both these Canons deliver. No one really knows how resistant they are to the elements, but it’s better to have than not. Both cameras share a few photographic modes as well. The RAW file support is standard at this level. RAW files have greater post-editing potential on your photo editing monitor and produce higher quality images than JPEGs. Face Detection Focus is another shared feature, especially welcome among portrait photographers. Accurate facial focus can be tricky at the best of times, and this mode takes care of it. The time-lapse recording of the 6D Mark II and 7D Mark II is another favorite mode. And AE (auto exposure) Bracketing (AEB) ensures the perfect shot in high-contrast scenes. AEB works by automatically capturing several shots at different exposures. It’s useful as it takes the guesswork out of awkward and fast changing light conditions. The final shared advantage of these Canon DSLRs is the AF Micro Adjustment (AFM). Sometimes, for reasons not clear, the autofocus (AF) can be slightly out. AFM lets you fine-tune those small errors. The size and weight of Digital-SLRs is often a buying consideration. There’s not a huge size distinction between these models, but the weight difference is more significant. Canon’s 7D Mark II is the larger of the two cameras by 4%. It also has a heavier body that weighs around 19% more than the 6D Mark II. The total weight, though, should include the mounted 7D or 6D compatible lens. Canon 6D Mark II Width: 5.7” Height: 4.4” Depth: 3.0” Weight: 27 oz. Canon 7D Mark II Width: 5.9” Height: 4.4” Depth: 3.1” Weight: 32.1 oz. The front and top shapes, contours, and layout of controls are similar for both models. The head of the 7D Mark II extends out slightly more to allow for its built-in flash unit. The rear of the cameras is where the most difference is. That’s because 6D Mark II has an articulating LCD screen with a large door hinge on its left. That forces some of the rear controls to the right side. Canon officially introduced the EOS 6D Mark II in June 2017 to replace the then popular EOS 6D. It looks like the 7D MK 2, but there are some distinct differences on closer inspection. So, which is better? Well, the features and functions or each model mean different things to different people. These two sections look at the reasons you may want to consider one camera over the other. There are common features that matter to most photographers, so let’s look at those first. We’ll never be happy with battery life, but the 6D Mark II is a clear winner in this department. You can expect somewhere around 1200 shots on a single charge in ideal conditions. That equates to 530 more frames than the 7D Mark II’s 670. Yes, you did read that right. Camera weight is something else photographers look at. The heft is a significant issue for those who carry a DSLR around their neck for long periods. The Canon 6D Mk 2 body is 5.11 oz. (145g) lighter. Another plus point goes to the 6D Mk II’s ability to read and write data at ultra-high speed (UHS). It supports UHS-1 memory cards. The 7D Mark II has no support for UHS cards. Videographers are sure to favor the in-camera movie digital image stabilization (IS). It does a decent job of correcting camera shake when shooting movies. Note that IS works better with wider lenses. Not all stills photographers are fans of Canon’s Movie digital IS (see reviewers section below). Modern photographers are big fans of articulating screens, and this puppy has one. Canon calls it a vari-angle LCD monitor, but it’s the same thing. Being able to shoot at different angles is a huge plus. Adjustable LCDs are also selfie-friendly—an in-demand feature nowadays. The rear LCD is also a touchscreen, so that’s another significant advantage to the EOS 6D Mark II. The 26MP sensor resolution is bigger than the 7D Mark II’s 20MP with 30% more pixels. And the sensor pixel area is 97% larger at 33.19µm2 vs. 16.83µm2. The 6D Mark II excels in connectivity too. It has built-in WiFi, Bluetooth, and NFC connection. NFC is a newer technology that stands for Near-field Communication. It allows two NFC compatible devices to share data at close range (4cm). Smartphone remote control is a popular feature that the 7D MK 2 lacks. Firing the shutter remotely and controlling other camera settings from a distance can be invaluable. OK, now onto the final advantages the EOD 6D Mark II has over the 7D Mark II. It has better overall high ISO performance (2862 vs. 1082), and a higher Max ISO by 150% (40.000 vs. 16.000). This model also has a higher color depth and a higher dynamic range than the 7D MK II. The numbers are 24.4 vs. 22.4 and 11.9 vs. 11.8 respectively. Canon’s 6D Mark II has done well, so how does the 7D Mark II measure up? Well, there are fewer reasons to choose this camera. However, it’s quality rather than quantity that changes minds. This section looks at what the 7D Mark II has that the 6D Mark II lacks. I’ll start by looking at the external features. The camera’s popup flash is sure to please some of you. No one denies the horrible harsh light of a built-in flash. The good thing is that it’s hidden from view when not in use. It can also mean the difference between getting a shot or not, and that’s the point. Off-camera flash is possible thanks to the 7D Mark II’s flash sync port. The extra storage slot (total 2) is another plus. Better video control is an option for videographers owing to the headphone port. 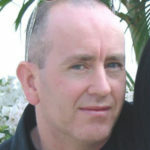 Cost savings are often a buying consideration in this category. Prices can change with promotions and from place to place. Even so, the 7D Mark II is at least $250 cheaper—at the time of writing. Having 100% viewfinder coverage is another of the camera’s more sought-after features. The 6D Mark II has 98% coverage. That’s not bad, but it’s still less accurate by 2%. The AE Bracketing (AEB) range is one more valuable advantage. AEB takes several shots at different exposures. It ensures the camera captures at least one perfect shot in tricky light conditions. Faster shutter speeds also go to the 7D MK 2 which boasts 1/8000s to the 6D MK 2’s 1/4000s. A more advantageous benefit for action photographers is its insane continuous shooting mode. Sports and action photographers must love the 7D Mark II’s 10.0fps (frames per second). That’s an impressive 3.5 fps faster than the 6D Mark II’s 6.5fps, which is also fast. This camera excels in the number of focus points and cross type focus points. There are 65 focus and cross-type focus points to the 6D MK 2’s 45. That’s 20 more focus points in both instances. All cameras have strong and weak points regardless of their cost and appeal. The most common weakness of these cameras is no sensor-based image stabilization. They also lack popular features like focus peaking, in-camera panoramas, and slow-motion video. These things are more akin to people’s wishes than camera flaws, though. All cameras have their critics, but a lot of views are subjective. The good thing about real user reviews is that they paint a bigger, more accurate picture. Let’s start with the 6D Mark II. Finding shared gripes of any significant weight is hard. It’s a popular camera for those photographers breaking into a full-frame DSLR. The full-frame newbies have more praise than seasoned users. They have good reason to be happy—it’s an excellent choice that produces exceptional results. Those upgrading from other cameras—especially the 5D series—appreciate the lighter weight. Everyone loves the articulating screen and most like the layout of the physical controls. The top mounted LCD gets a thumbs-up as does the user-friendliness of the camera. The long battery life and connectivity options are other features welcomed by all. The camera has a lot going for it though it’s not perfect for all photographers. A few gripes come from videographers and YouTube vloggers who wish for better video support. Yes, a headphone port and 4K video would be helpful. But then this is primarily a DSLR and not a camcorder. Others would like to have seen dual card slots at this level. It’s a fair point, and no one ever complains about too much media storage. Still, an extra card slot is more of a desire than an actual design flaw. Canon introduced the EOS 7D Mark II to the world in September 2014. Back then it had a suggested retail price of around $1800. Today, this puppy is available for a lot less. There are plenty of user reviews because the camera has been with us for a while now. The good news is that it’s stood the test of time and enjoys plenty of favorable feedback. You won’t find many complaints about image quality, especially from those who are upgrading. Canon 7D MK 2 owners also share their delight in the low noise at higher ISOs. The 10fps (frames per second) continuous shooting is a huge hit with action photographers. The 1/8000s shutter speed also gets a thumbs-up from some. Others think it’s a sales gimmick. The ergonomic design, 100% viewfinder, and overall value get quite a lot of mention. Reviewers also praise the environmental sealing, dual card storage slots, and the fast, reliable autofocus. Some critics complain of the fast battery drain, and they make a good point. No WiFi is another grievance. And yes, the videographers among them protest about the missing 4K video. There are lots of guides that pit the Canon 6D Mark II against its rivals. It’s fair to say that in most cases it comes out on top in key areas. They include things like features, reliability, and value. What sold me are the articulating touchscreen, connectivity options, and long battery life. I also like that fact that it’s lighter, more modern, and has slightly better image quality. The EOS 7D Mark II still fares well in areas of price, fast shooting, and extra flash lighting options. The 100% viewfinder, extra card storage slot, and audio monitoring are a few more.